The National Sheep Association (NSA) is delighted to announce it has teamed up with JFC Agri to give away four prize packages, which include foam footbaths and hoof solution, as part of its new membership recruitment prize giveaway. Every individual who signs up to be a member of NSA during 2019 will be automatically entered into the draw for a chance to win one of these fantastic prizes. Existing members can also gain multiple chances to win simply by recommending family, friends or neighbours to sign up. There is no limit to the number of entries for existing members, the more recommendations made, the more entries earnt. 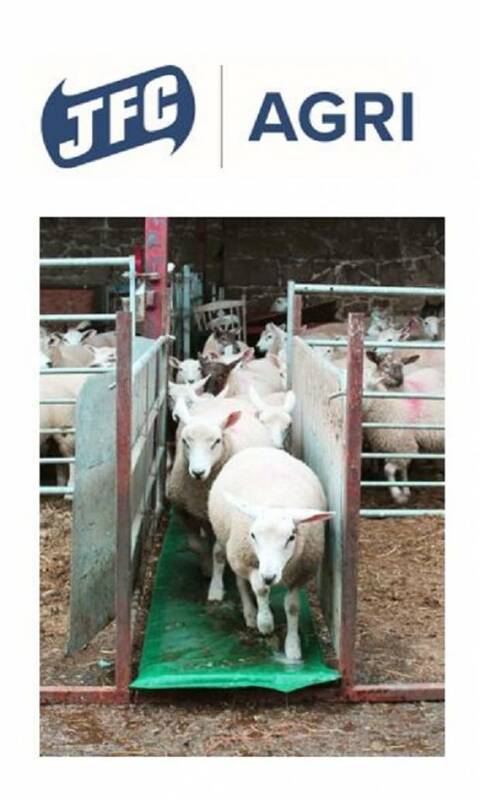 Each lucky winner will receive one, three metre foam footbath along with 20 litres of hoof solution, helping to rid farmers sheep of hoof diseases. Each member’s subscription also supports NSA's work to provide a voice for the UK sheep sector and gives access to a wide range of benefits. JFC is an international business renowned for manufacturing innovative, high-quality plastic products. Over the years, JFC has worked closely with local farmers to ensure delivery of products of the highest quality, durability and practicality. Their agricultural portfolio comprises an extensive array of products and accessories to support farmers and ensure they meet the ever-changing demands of modern farming. Four prize draws will be made throughout 2019. After each, all non-winning entries will automatically roll over to the next draw. Entries will be eligible from Tuesday 22nd January 2019 through to a closing date of Monday 30th September 2019.